In June 2015, Rev. Kevin Kompelien was elected president of the Evangelical Free Church of America. For the previous nine years, Kompelien was the international leader for the Africa division with ReachGlobal (the international mission of the EFCA) and a senior leader of the mission. A graduate of Trinity Evangelical Divinity School (1983), he served over twenty years as pastor of two EFCA churches. In addition, Kompelien served on the North Central District Board chairing the church planting committee and on the Central California District Board (now EFCA West). A native of Thief River Falls, Minnesota, Kompelien and his wife Becky have been married for 34 years. They have four grown, married children and seven grandchildren. Born and raised in Edinburgh, Scotland, Colin trained at London School of Theology, where he met his wife, Karen. He served as pastor of Enfield Evangelical Free Church in London for 16 years before coming to The Orchard in 1996. As senior pastor, he has brought a strong emphasis on God’s Word, has helped the church develop a vision for the future and has encouraged and taught young preachers. Colin also serves as teacher of the daily radio program, “Unlocking the Bible.” Colin and Karen have two sons, Andrew and David. 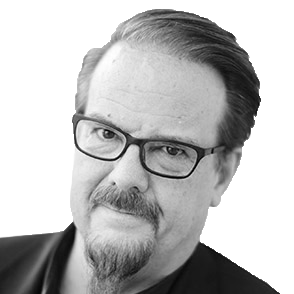 Ed Stetzer has planted, revitalized and pastored churches, trained pastors and church planters on six continents, holds two master’s degrees and two doctorates, and has written dozens of articles and books. 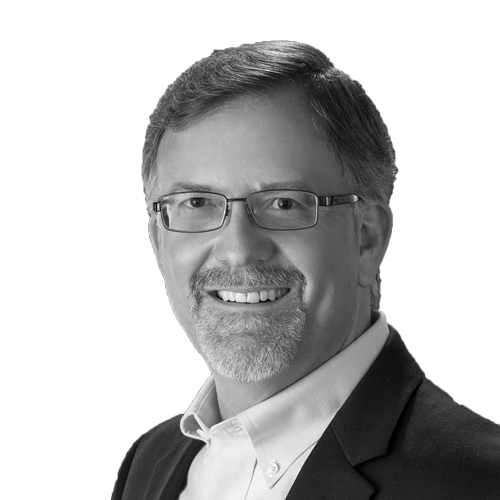 He is regional director for Lausanne North America and publishes research through Mission Group. Previously, he served as Executive Director of LifeWay Research. Stetzer is the executive editor of The Gospel Project and is also the executive editor of Facts & Trends. In 2015, Stetzer began serving as the co-host of the BreakPoint This Week radio program with John Stonestreet. He also serves as Visiting Professor of Research and Missiology at Trinity Evangelical Divinity School, Visiting Research Professor at Southeastern Baptist Theological Seminary and has taught at many other colleges and seminaries. 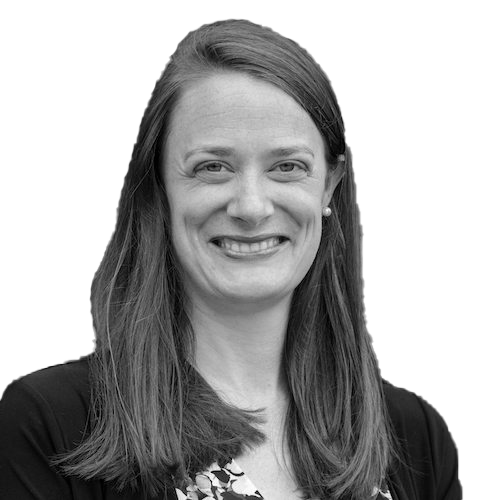 Mary Willson, who earned her doctorate at Trinity Evangelical Divinity School, serves as the director of women’s initiatives for The Gospel Coalition. Mary enjoys teaching and training others to teach the Scriptures, especially in the context of the local church. She has many nieces and nephews who make life all the more wonderful and rambunctious. Chris began his ministry at Blackhawk Church in July 1994. Prior to this, he pastored a church in Shreveport, Louisiana, for 10 years. Originally from Indiana, Chris has a B.S. from Indiana State University (1978), where he majored in biology and competed as a gymnast. During college, he discovered God’s grace and went on to receive his Master of Theology degree from Dallas Theological Seminary and his doctorate of ministry from Gordon-Conwell Seminary under Haddon Robinson. Chris and his wife, Becky, have two grown children: Daniel and Melissa (married to Josh). In his spare time, Chris enjoys rooting for the Cubs. Eric Rivera is the Lead Pastor at The Brook, a multiethnic church in Chicago that he and his team planted in 2013. Eric is passionate for urban pastoral ministry and seeing God raise gospel-centered leaders. He has a B.A. in Bible Theology from Moody Bible Institute, M.Div. from Trinity Evangelical Divinity School and a Ph.D. in Historical Theology at Trinity. He married his wife Erikah in 2003 and together are parents to three children. In addition to serving at The Brook, Eric and Erikah are on the speaker team for FamilyLife’s Weekend To Remember conferences. Mary Willson, who earned her doctorate at Trinity Evangelical Divinity School, is the Women in Ministry Director at Second Presbyterian Church in Memphis. 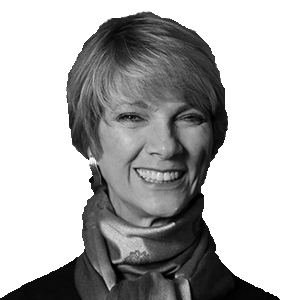 She previously served as director of women’s initiatives for The Gospel Coalition. Mary enjoys teaching and training others to teach the Scriptures, especially in the context of the local church. She has many nieces and nephews who make life all the more wonderful and rambunctious. 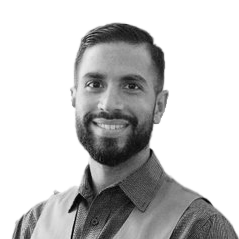 Eric Rivera is the Lead Pastor at The Brook, a multiethnic church in Chicago that he and his team planted in 2013. Eric is passionate for urban pastoral ministry and seeing God raise gospel-centered leaders. He has a B.A. in Bible Theology from Moody Bible Institute, M.Div. from Trinity Evangelical Divinity School and a Ph.D. in Historical Theology at Trinity. He married his wife Erikah in 2003 and together are parents to three children. A man who values family, Lawrence is a devoted husband and father. He is married to the love of his life, the beautiful and gifted Shannon Scott. They have six children: Kaelyn, Leah, Eden, Lawrence III, Zachary and Reagan. Lawrence and Shannon are both passionate about helping people discover their God-given purpose. 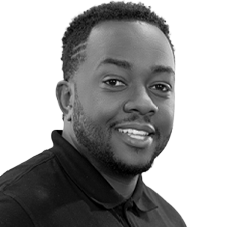 Lawrence earned his Bachelor of Arts degree in Philosophy with a minor in Business Administration from the University of Houston and a Master of Theology (ThM) degree from Dallas Theological Seminary (DTS). He is currently pursuing his doctorate from DTS in Dallas, Texas. Michael completed his doctorate in theological studies with a concentration in systematic theology from Trinity Evangelical Divinity School. He is a co-editor of Everyday Theology: How to Read Cultural Texts and Interpret Trends with Kevin J. Vanhoozer and Charles A. Anderson. He has published a number of essays, book chapters, articles, and book reviews in the areas of theology, bioethics, and technology. Michael serves on the Board of Reference for the Christian Institute on Disability for Joni & Friends, International, as a consulting editor for the Journal of the Christian Institute on Disability, and as co-chair of the editorial board for Ethics & Medicine: An International Journal of Bioethics. He and his wife Cindy reside in the northern suburbs of Chicago with their three children. 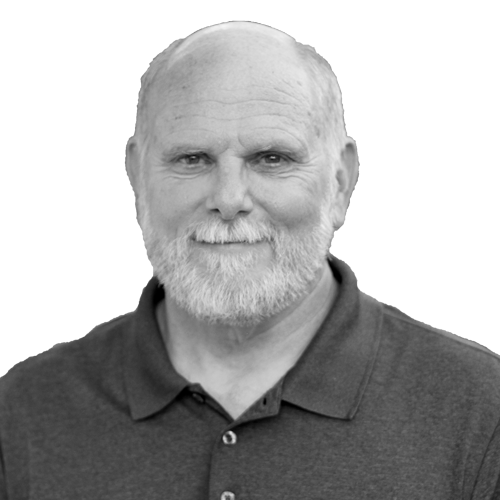 Larry has a passion for leadership, spiritual formation and discipleship. As a nationally recognized trainer of leaders, pastors and church planters, he travels extensively — speaking at conferences and mentoring events. North Coast Church, where Larry serves as the senior pastor, has been acclaimed as one of the most influential and innovative churches in America. Known for pioneering the concepts of sermon-based small groups, pastoral teaching teams and video venues, its fingerprints are found on churches throughout the world. Larry’s leadership books include: Lead Like a Shepherd, Sticky Church, Sticky Teams, Sticky Leaders, Mission Creep and The Unity Factor. Larry’s discipleship books include: Thriving in Babylon, Accidental Pharisees, A Contrarian’s Guide to Knowing God, Lead Like a Shepherd and 10 Dumb Things Smart Christians Believe. 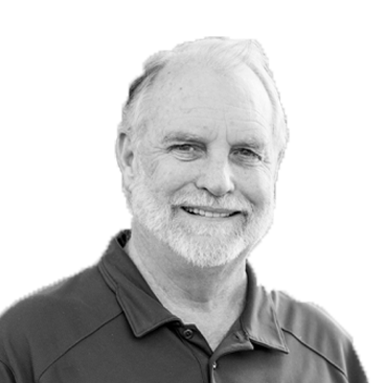 Larry holds both a Master of Divinity and doctorate degree from Talbot Theological Seminary. He and his wife, Nancy, live in Oceanside, California and have three married children and an increasing number of grandchildren. 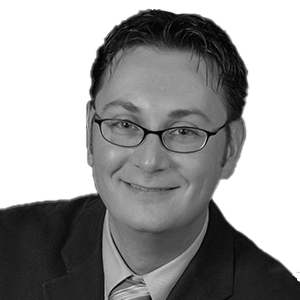 Dr. Michael Sleasman is Managing Director of the Center for Bioethics and Human Dignity on the Trinity International University campus. He is an affiliate professor of bioethics for Trinity Graduate School and has served as an adjunct instructor and online course tutor at the college and graduate level in the areas of philosophy, theology, and ethics. His particular area of specialization is the nexus of technology and culture assessment. Michael completed his doctorate in theological studies with a concentration in systematic theology from Trinity Evangelical Divinity School. His doctoral research explored the theological and ethical dimensions of eschatological hope in light of virtue theory. He has published a number of essays, book chapters, articles, and book reviews in the areas of theology, bioethics, and technology. Michael and his wife Cindy reside in the northern suburbs of Chicago with their three children. 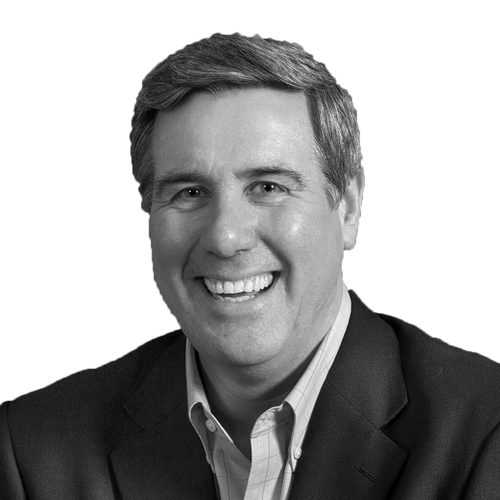 Prior to his “third coming” to TEDS, Dr. Vanhoozer served as Blanchard Professor of Theology at Wheaton College and Graduate School (2008-11) and as Senior Lecturer in Theology and Religious Studies at New College in the University of Edinburgh (1990-98), where he also served on the Panel of Doctrine for the Church of Scotland. He has edited several books, including The Cambridge Companion to Postmodern Theology, Dictionary for Theological Interpretation of the Bible, and a collection of essays by Trinity students entitled, Everyday Theology: How to Read Cultural Texts and Influence Trends. 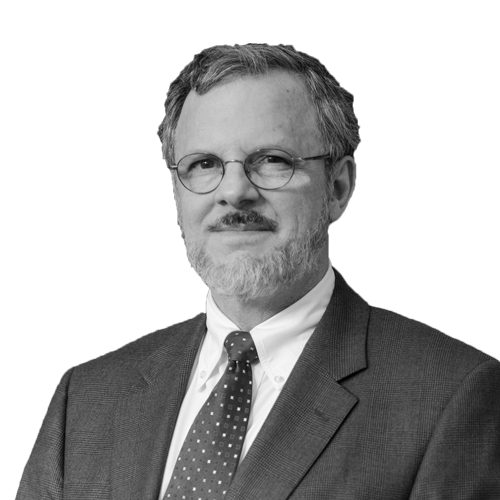 He also serves on the editorial board of the International Journal of Systematic Theology and the Journal of Theological Interpretation and is the North American Consultant for IVP’s forthcoming New Dictionary of Theology. 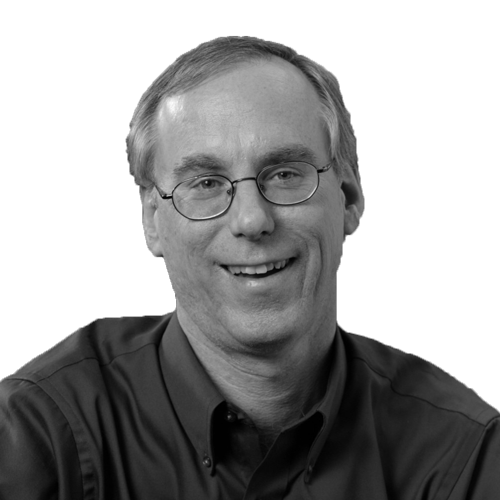 Before coming to Wheaton, Rick was the national coordinator and then associate director for evangelism with InterVarsity Christian Fellowship, where he worked in campus ministry for 25 years. Rick is an ordained Anglican priest and served for three years as pastor of evangelism and small groups for Church of the Resurrection in Wheaton, Illinois. While a pastor, Rick coordinated the Alpha program, seeing many people come to Christ. He consults widely with churches on evangelism, healing and reconciliation for the emerging generation and on contemporary missional churches and missional movements. Rick earned his M.Div. from Northern Baptist Seminary, focusing his studies in evangelism and urban ministry. He received his doctorate in Intercultural Studies from Trinity Evangelical Divinity School. Rick serves as an affiliate professor for TEDS working with the Ph.D. program. Rick seeks to bring together his passions for evangelism, prayer and racial reconciliation in order to cast vision and equip an emerging generation in ministry for the sake of the gospel of Jesus Christ.